Gospel Urgency—Never Lose Gospel Urgency. Repentance and faith in the Gospel is the only way of salvation. Through the Gospel, God draws people to himself and transforms them to be like Christ. Therefore, the need to proclaim the Gospel is urgent. Without it, people will die in their sins and spend eternity in Hell. This truth is what we call Gospel Urgency, and it is one of the core convictions that we embedded into the DNA of Gospel Life Global Missions when my wife and I founded Gospel Life two years ago. Unfortunately, many organizations drift from the centrality of the Gospel. They do this with the best of intentions. They do it without even recognizing that they are doing it. That is the thing about drift. It’s unintentional. It happens slowly—inch by inch—until suddenly you look up and are miles from where you started. When many organizations drift from the centrality of the Gospel, they become organizations that center on material needs, pushing the Gospel to the sidelines or cutting it from the team altogether. It’s easy to do. When you’re surrounded by poverty, disease, lack of education, or lack of opportunity, you want to do whatever you can to help the suffering. In fact, it’s a biblical command to do what we can to help who we can. “If a brother or sister is without clothes and lacks daily food and one of you says to them, ‘Go in peace, stay warm, and be well fed,’ but you don’t give them what the body needs, what good is it” (Jas 2:15–16)? But material needs are demanding masters. In a fallen world, they never seem to let up. There’s always more to do, more people to help. Material needs are heart-wrenching, obvious, and urgent. Donors also contribute to the dictatorial nature of material needs. Donors love to give to things that they can literally see make an immediate difference. Organizations then begin to cater to the short-sighted values of their donors. Don’t get me wrong. At Gospel Life, we have a commitment to show the compassion of Jesus to those in need. That’s why in 2019 Kiki Cunningham is joining us as Director of Compassion Ministries. 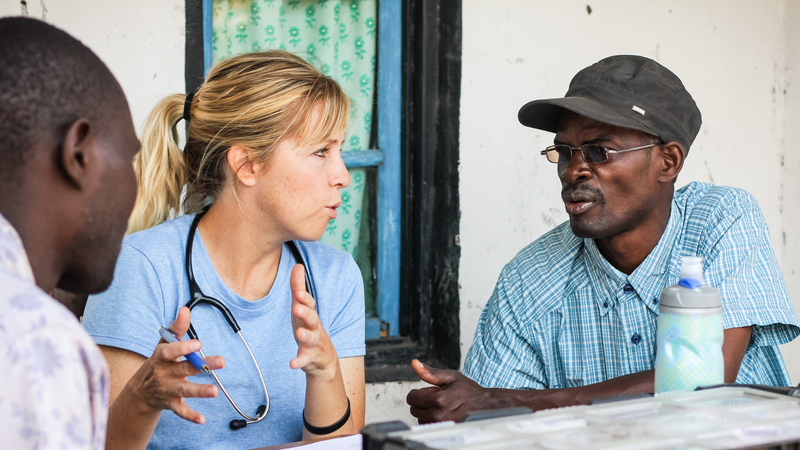 The mobile medical clinics that Kiki will lead save lives. However, it’s important to all of us—Kiki included—that material needs not dictate our agenda or identity as an organization. To do so would be too short-sighted. I know that there are some people who will judge us as backward or too fire-and-brimstone. But we frankly don’t have time to care. People are dying and going to Hell, and while we can save a life for a few years, God can save a soul for eternity. So our focus is going to always be eternity. Gospel Urgency will continue to dictate who we are and what we do. Tuesday, November 27 is Giving Tuesday, a day set aside to pause from our consumerism and to contribute to causes we care about. If you care about Gospel Urgency, would you consider an end-of-the-year gift to Gospel Life.